Imarika Sacco through its Corporate Social Responsibility initiative have been for over a month, sponsoring free eye screening and treatment to coast residents in collaboration with Mombasa Eye Hospital & Laser Centre and Kwale Eye Centre. 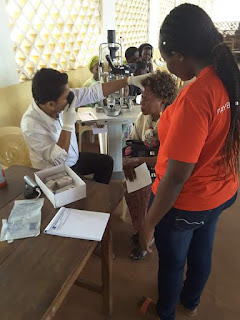 The Free Eye Camps Iniative lead by the Corporate Affairs manager, Mr. Angore,started early July this year in Ganze,in Kilifi county before spreading to Kwale and Malindi. The Free Eye Camps were meant to enable respective area residents benefit from free eye screening, free eye medications,free eye surgery and free reading glasses.